Move over, Zillow! There’s a new Sheriff in town! Behind every great business is a team of hard-working people whose daily efforts and contributions are essential to achieving success! For home inspectors, REALTORS are an important part of that team. Quite simply put – the better you do, the better we do… and that is very much a two-way street! When we provide our superior services to clients during a pre-listing inspection, it makes your job EASIER. Knowing more about houses prior to negotiating offers means less worrying about deals falling through due to unknown deficiencies traditionally found during the buyer’s inspection! Because our successes are intertwined, we are extremely excited to partner with you on a new adventure to help get your listings sold! Through joint marketing efforts, we are able to utilize the services of InspectedHouses.com to expand the reach of your listings, and generate a higher number of serious leads for you! Inspected Houses hosts information about houses, including the Pre-Sale inspection reports. One of the things we like best about Inspected Houses is that they do not sell any data to third parties! These are YOUR listings, and that means YOU should be the one to get the leads for them. For a sneak peek at a sample listing, click here! If you’d like to schedule a LIVE PRESENTATION (in the HomePro office or your own) to demonstrate all the amazing benefits Inspected Houses has to offer, email us and we will be happy to help you! You will need to register your partner account with HomePro Inspections by visiting www.getinspections.com. *Registration is required before you can receive your lead notifications, but you will only need to do this step once! After you have registered, HomePro will follow up with you to discuss your next steps! As a registered partner of HomePro Inspections, you will receive all the leads for your listings immediately as they occur. You will instantly be provided with all the data collected from each lead, allowing you to respond quickly and more efficiently! And… you will be the only person to follow up with the leads for your listings! Yard Signs / Digital Marketing: Buyers will be able to request information about a specific property through a unique marketing code. And if a particular listing hasn’t caught their eye, they can still text for discounts on a future inspection, allowing you to receive their lead data! Contact Forms: Buyers will be able to browse the Inspected Houses website and fill out a contact request form on your listing, instantly providing you with the lead! Sold Inspection Reports: Buyers will have the ability to purchase the Pre-Listing inspection report, creating a smoking hot lead for you! Buyers pay $19.95 for a report ($17.45 of which goes directly to the report-owner, helping to recoup the cost of the home inspection; the other $2.50 is retained by Inspected Houses as a transaction processing fee). We hope you are as excited about this new endeavor as we are! 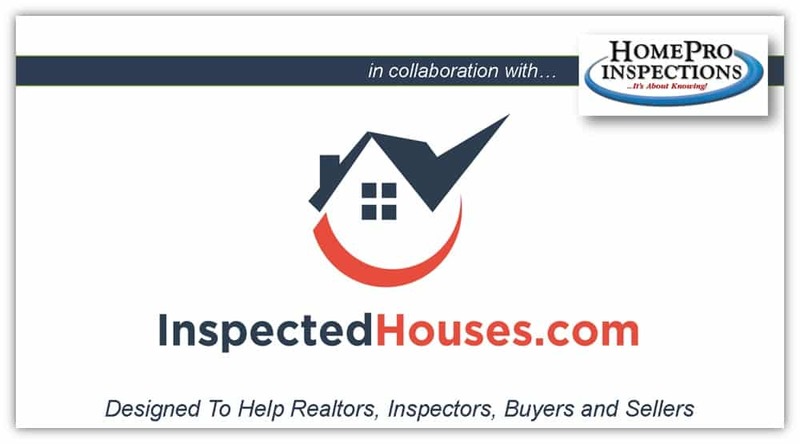 We look forward to partnering with you on InspectedHouses.com, and to helping you grow your business!